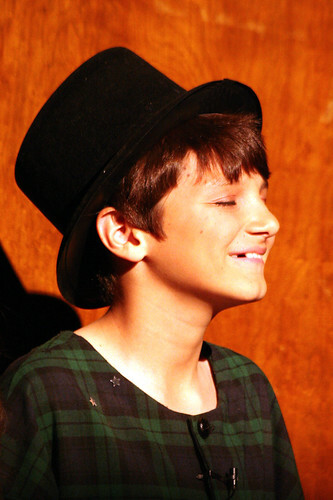 Since January, my two oldest have been rehearsing for their elementary school’s production of Peter Pan. Isabella was cast as an Indian, and Zack got the plum part of John Darling. The last two weeks have been a hectic jumble of school, homework, practice and more practice for them. Here are a few of the pictures I took to give you an idea. 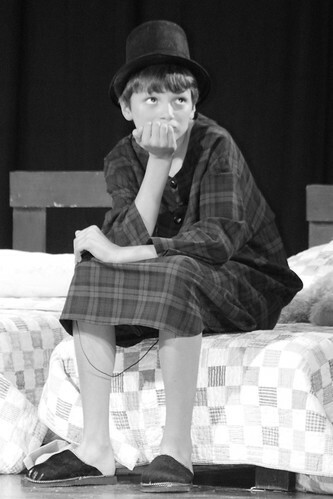 I am shocked that an elementary school production could be so good in such a short time. My parents and my in-laws both came to watch it and were blown away. It had glitches aplenty, but the kids were so professional in covering the gaffes, that most people never even knew they had happened. Now my kids, and Zack especially, are on the lookout for the next local production. They did five shows in three days, but the best bit may have been on the first night’s show. Tinkerbell had drunk the poison meant for Peter Pan and only believing in fairies could save her. Peter turned to the audience to ask if they believed. One little girl piped up, in a crystal clear voice full of urgency, “I DO believe!” The whole audience joined in and burst into applause. It was the sweetest thing, and every mother in the crowd teared up a little. 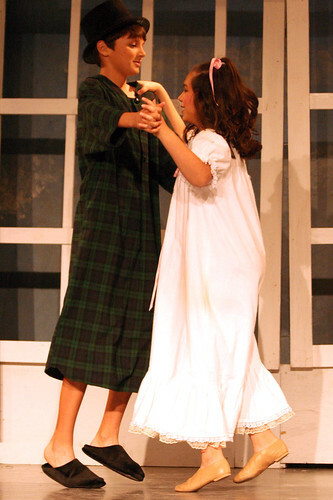 It was so surprising to me that an elementary school production could touch us so much, and I think all of us believed in fairies again, if only for a moment. ~ by bekaboo on March 24, 2009. Wow, how fantastic!!! Their costumes and make-up look so professional (and so do your photos!) … I bet you are really proud of both of them. I think theatre is a wonderful thing to be involved with, it teaches so many great skills that will really help in adult life. And who knows, perhaps they will go on to acting in movies or something? Awesome!! Wow, those photos are awesome!! Peter Pan is one of my fav stories of all time and I collect different versions of the book. 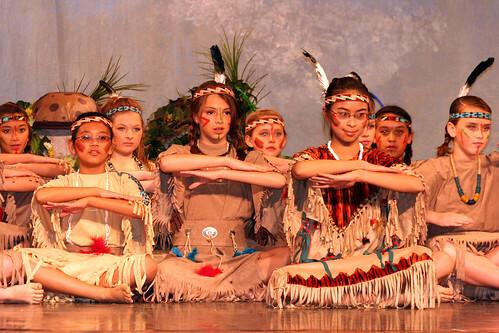 I have also seen it twice when our naitonal ballet company put this on a few years ago and more recently two years ago. Sounds like it was a great success. Looks like great fun–congrats to your children! What great photos! And a wonderful experience for the kids. 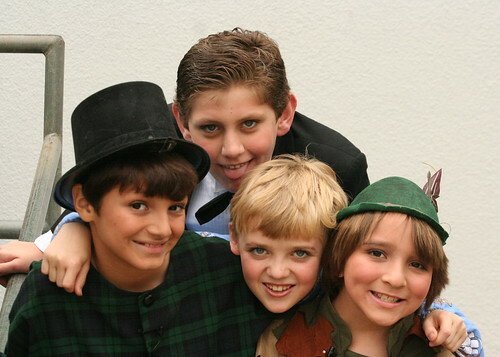 I hope they can do it again soon, I think it’s fun and it helps kids get over any stage fright. Your kids look so gorgeous and grown up! Great pictures of your stars.